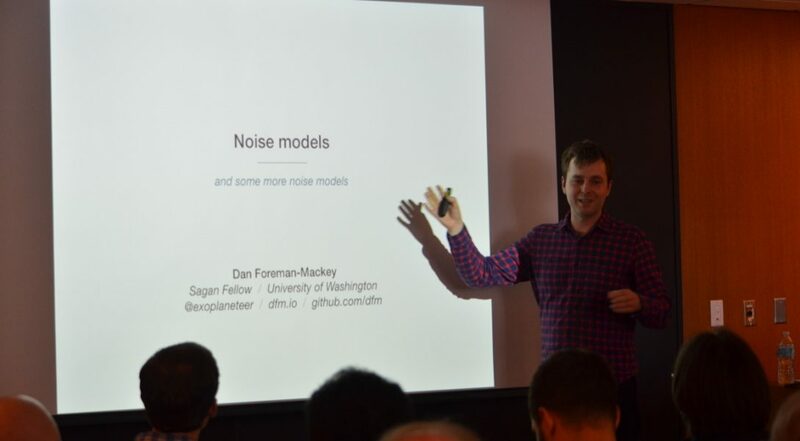 On March 16, CIERA welcomed Sagan Postdoctoral Fellow Dan Foreman-Mackey from the University of Washington as our Spring Interdisciplinary Colloquium speaker. The event was co-sponsored by the Northwestern Institute on Complex Systems (NICO) & Data Science Initiative (DSI). 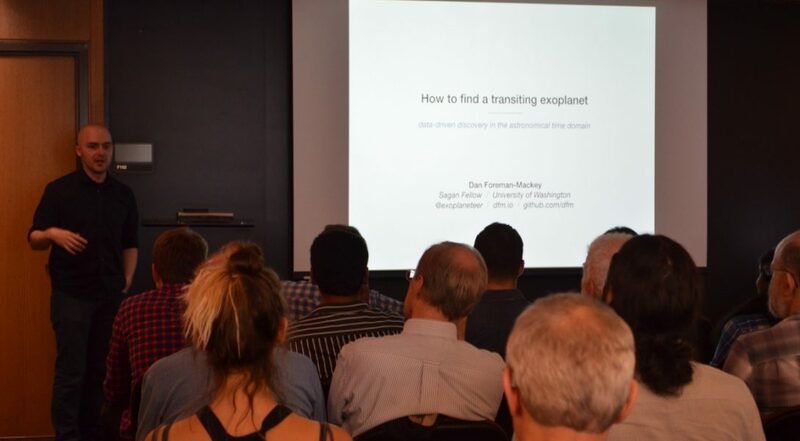 Mackey presented “How to Find a Transiting Exoplanet: Data-driven Discovery in the Astronomical Time Domain” to a group of about 60. 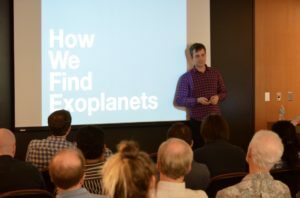 Foreman-Mackey discussed the challenges of exoplanet detection and how physical models in combination with data-driven models of stars and spacecraft can be scaled and applied to hundreds of thousands of stars to detect even the smallest of exoplanets. 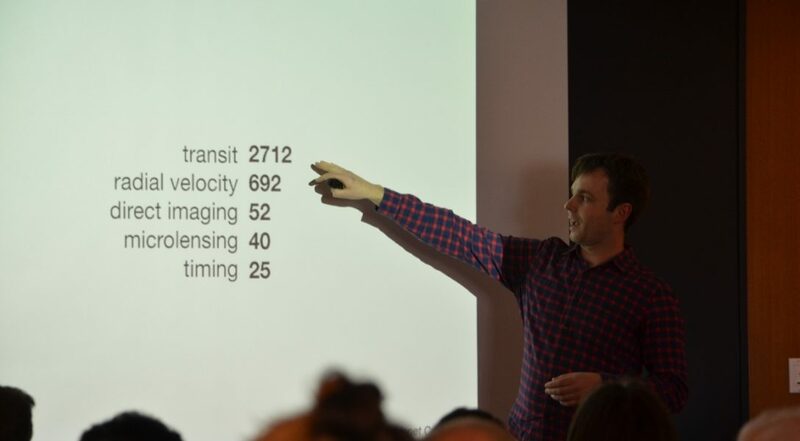 As a computer programmer, Foreman-Mackey discussed the technical challenges and solutions of current and future datasets, which will ultimately provide greater context to the population of planets in the universe.